Earlier this month I posted my grocery haul video which included a trip to my local Japanese grocery shop to pick up okonomiyaki sauce. 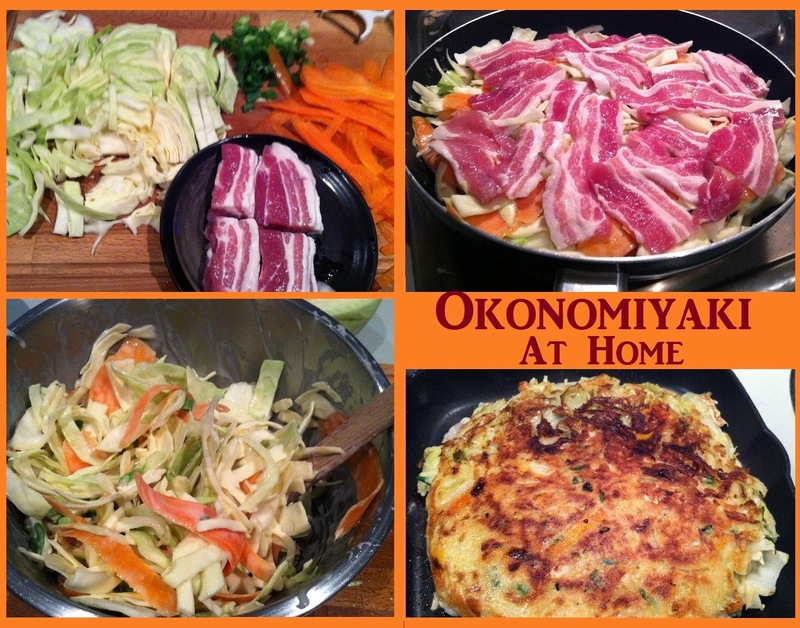 I described it okonomiyaki as a cabbagey pancake which I thought summed it up quite succinctly. In case that description didn't cover it for you, I also took some photos as I assembled the dish. You'll usually find cabbage in it and then you mix the ingredients with a batter on the grill. 100ml of water, 100g plain flour and one egg per person to make up the batter. There are rules when it comes to okonomiyaki, it translates roughly as "as you like it grilled" you can toss any meat, fish or veg into it that you fancy. Then top it with sauce, bonito flakes and KewPie Mayonniase.